The system’s primary useful function is that the b- cyclodextrin molecules chemically bond to the molecules of the substance y, so that they do not pass to the other side. The primary useful function of the barrier substance is that it chemically bonds to the b- cyclodextrin molecules, thus providing a means for the b- cyclodextrin molecules to cover the area that needs to be free of substance y. Barrier substance is used to prevent dangerous or unwanted substances from passing through it. Barrier substance can exist as part of a clothing ensemble, which is worn on the body. There is no acceptable amount of dangerous substance y which can be allowed to pass through. Dangerous substance y can be of the liquid form or the gaseous for. Substance y can be a mixture of several different substances. 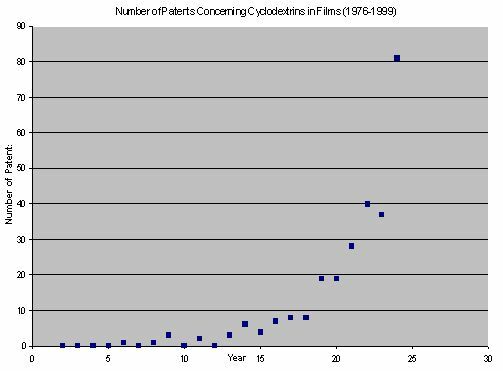 The barrier film exists as a substrate for the cage-like molecules that are responsible for the entrapment of the molecules of y. The film that is used as a substrate for the cage-like molecules is continuous in nature, with no holes or pores. 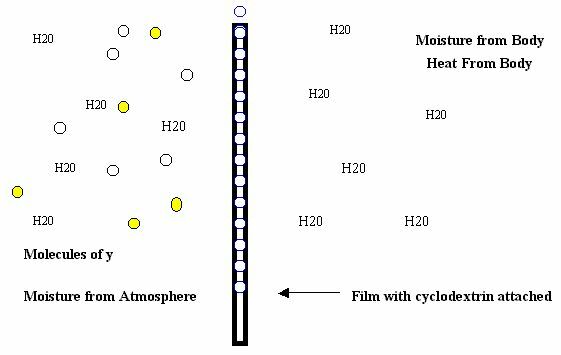 This is an ideal situation from the standpoint of attachment of molecules to the film, because it allows for the maximum number of molecules to be chemically attached to the surface film. 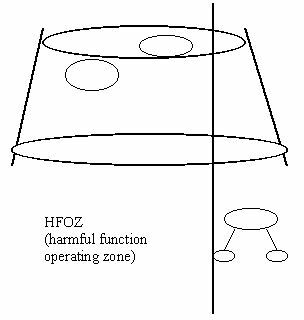 The barrier film, however, needs to allow moisture vapor (MV) to be transported through the film so that the individual wearing it will not succumb to heat stress. b- cyclodextrin is added to the barrier film to enhance barrier qualities. The b- CD will complex with any molecule or particle which has a polarity less than water. 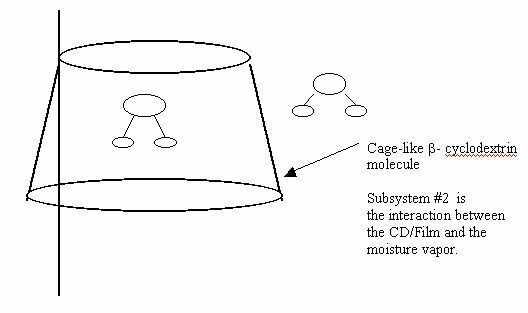 The interior of the cage-like molecule is hydrophobic and the outside is hydrophilic. 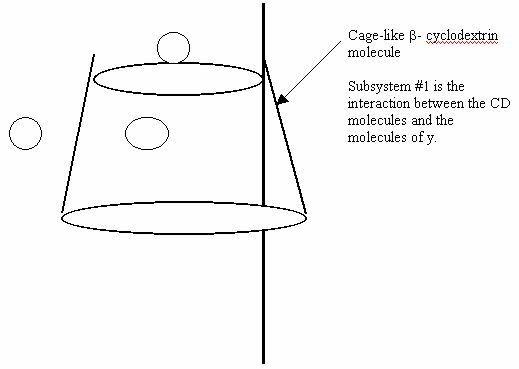 Key Condition- The substrate with cage-like molecules comes in contact with X molecules. The X molecules are captured by the CL molecules and thus prevented from crossing the substrate.